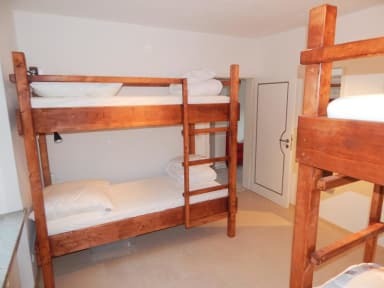 Microverse Hostel i Regensburg, Tyskland: Reservér nu! 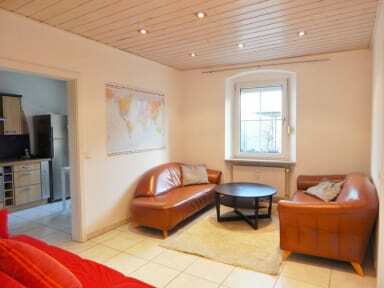 Our Microverse Hostel is located in the city centre of the historic town Regensburg. We offer two dorms and one apartment. Our tiny Hostel is run by a young team - The 'Butler-Team' which offer also other apartments in Regensburg and run the local delivery company 'DeinButler' and the closeby Tourist Information 'Butlersburg'. We are specialized in giving you an exceptional stay in our beautiful and exciting city! We know the places, we know the parties, we know the nature and the good life spots and hope to share them with you! The theme of our Microverse Hostel comes from the popular TV series Rick and Morty, which we all love. Microverse is a place for all the inspiring people of the world, who we love to welcome as our guests. From our hostel you can reach all of Regensburg's main sights by foot walk shorter than 10 minutes. There are very many bars close by, nightclubs and restaurants but also bakers, a supermarket and lovely coffee-places. Regensburg is extraordinarily historic and culturous, already 1000 years ago the emperors of the Holy Roman Empire of German Nation (962-1806) reigned in the capital Regensburg from only a few metres away of our hostel. When you look out the window, you see the city-theatre. Our dorm for 4 persons is equipped with two bunkbeds, which we built ourselves from wood. In our self-built beds you can sleep super comfortable. You share the living room with 3 sofas, the bathroom with toilet+bathtub and the kitchen with a big refrigerator, coffee machine and dishwasher with maximum 9 other guests. Our dorm for 6 persons is equipped with three bunkbeds, which we built ourselves from wood. In our self-built beds you can sleep super comfortable. You share the living room with 3 sofas, the bathroom with toilet+bathroom and the kitchen with a big refrigerator, coffee machine and dishwasher with maximum 9 other guests. In the private apartment on the second floor of our Microverse Hostel, you can enjoy all the privacy you need. There are two separate bedrooms, a living room, a bathroom, a separate toilet and a kitchen. Every bedroom has a queensize bed with 180x200 and a flatscreen TV. In the living room you can relax on the couch, where two more persons can sleep at night. The private apartment is quite luxurious for a hostel. We already prepare the apartment with all the bed linen and towels for you, so you do not have to bring any of that your own. In the kitchen we have a small offer of different kinds of tea and coffee for you. For Check-in we meet in our Reception 'Butlersburg' at Arnulfsplatz 5, 93047 Regensburg. From there we will show you the hostel around the corner. Breakfast not included. We do not offer breakfast. Bakery, butcher and shops are not far away at Arnulfsplatz. If you bring a sleeping bag, you only have to pay 1.00 EUR for the bed sheet. If you are looking for the best comfort, you can use the option of renting an entire bed set (consisting of 1 bed sheet, 1 blanket cover, 1 pillowcase) for a total of 2.50 EUR.